CLICK on the virtual tour button for VIDEO! Gorgeous 1,409 sq ft luxury PENTHOUSE unit in the award-winning Chandler w/ 11 ft floor-to-ceiling windows facing the sunny south lakefront skyline from every room! Hardwood floors & custom shelving throughout, walk-in closet, stainless steel appliances w/ built-in wine cooler, pantry, in-unit washer/dryer & private balcony w/ views of DuSable Harbor & parks. Bathrooms feature marble countertops & tile; en-suite master bath w/ dual vanity, standup shower & separate soaking tub. Extensive amenities: rooftop indoor pool, 2 outdoor decks w/ hot tub, fitness center, media room & party room on the Chicago River. BRAND NEW AMENITY SPACE COMING SOON! 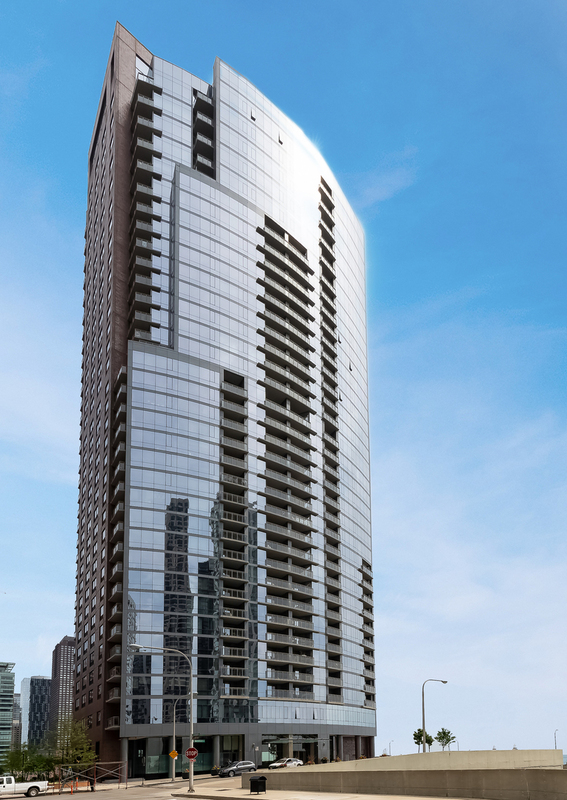 Highly desired Lakeshore East community a short walk to Navy Pier, Lake Michigan, Mariano's, dog parks, Millennium Park, Maggie Daley Park, Grant Park, Chicago Children's Museum, shopping & restaurants on the Magnificent Mile & much more! GEMS World Academy steps away! Prime heated garage parking +$50K. Property information last modified by seller on Thursday, March 21, 2019, 05:03 PM CDT. Information Deemed Reliable But Not Guaranteed. Unauthorized duplication, use, or linkage is prohibited. The information on this web site is for personal, non-commercial use and may not be used for any purpose other than to identify prospective properties consumers may be interested in purchasing. Monthly Payment Calculator results are for illustrative purposes only, not a financing opportunity; calculations assume a 30-year fixed-rate mortgage and do not include closing and other costs. Property Tax on NEW properties is estimated at 1.5% of Listing Price for payment calculation purposes; actual value may be higher or lower.